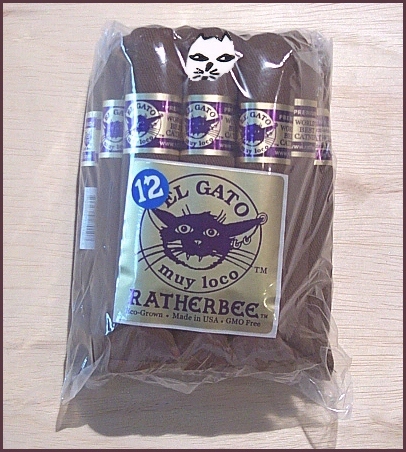 Ratherbee's Catnip Cigars. One Dozen rough & tumble fake cigar toys stuffed with very potent catnip. Approx. size: 6 inches. Quantity=12. $49.99 plus $4.00 shipping (waived with cat furniture purchase).